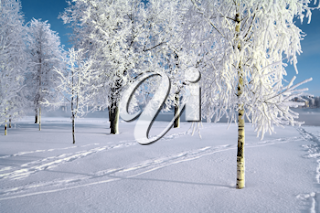 Vital Imagery Blog: Do You See the Beauty in Winter? Do You See the Beauty in Winter? We have enjoyed a beyond beautiful autumn this year in south-western Ontario, Canada. Folks below the border may think of us as a land of ice and snow but we really do experience a variety of weather — from the ups and downs of spring, to the hottest of days of summer to our dang chilly winter. While the fall months can generally be a mix of almost all of that, this October has been replete with warm temperatures and sunshine besides the usual glorious foliage. But then we got to this morning — damp, dismal and cool. Well, actually rather cold. I even heard someone speak the 's' word. I wish I could recapture the wonder of childhood when I hear the word snow. The simple delight I found in catching snowflakes on my tongue, making snow angels, building forts from which to launch snowballs at 'enemies' was childhood at its best. I can still feel the sense of carefree joy; it's rekindling it as an adult where I run into problems. See, the problem with snow when you're all grown up, is that it's a bit of a pain. You shovel it and clear it. It makes driving hazardous, covers our decks and patios and arrives hand in hand with Jack Frost and his stinging bite. Truth be told, however, though a blanket of white may lack the variety of colour and climate that the other seasons boast, it does have its own beauty. A sparkling sun in an azure sky flickers off the opaque landscape. Mr. Frost's artwork glitters on windows and hangs from trees. The intensity of a winter storm, viewed safely from inside your brick and shingle cocoon, is awesome in its force.